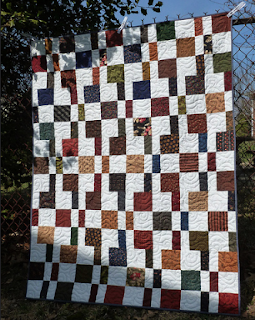 Confessions of a Fabric Addict: Hands2Help - It's Time To Show Off Your Quilts!!! The time has finally arrived for the final linky party for the Hands2Help Charity Quilt Challenge 2016! I am overwhelmed with gratitude for each one of you, who have become the hands, feet, eyes and ears of love once again through the quilts you have made for others! Your quilts will bless many, and hopefully you have found blessing in the making of them. Many of you have told me that this is your first experience making charity quilts - I hope it won't be your last! Thanks to each and every one of you for joining in the Challenge this year! So let's get down to business. Between now and next Saturday, May 28th at 12:00 noon CST, please link up your quilts below, either to a new blog post or an old one that shows your quilt. If you don't have a blog, you can link up a picture you have posted in the Flickr group. (If you post your pic in the Flickr group, be sure to put your name and which charity you made the quilt for in the description!) If you are technologically challenged, feel free to email your picture to me at salliesue57 (at) gmail (dot) com and I will post it in the Flickr group and link it up for you! The best reason to link up your quilt is so that we can all see, admire, and be inspired by each one. But there's another reason, too - thanks to a lot of wonderful donors, we have great giveaway items!! 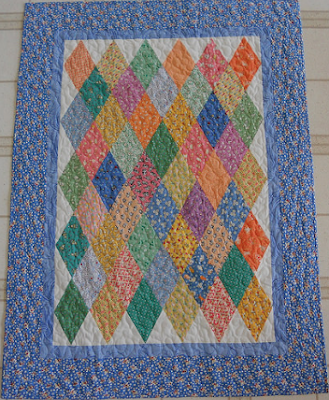 To participate in the giveaway, just link up your quilt or quilts. 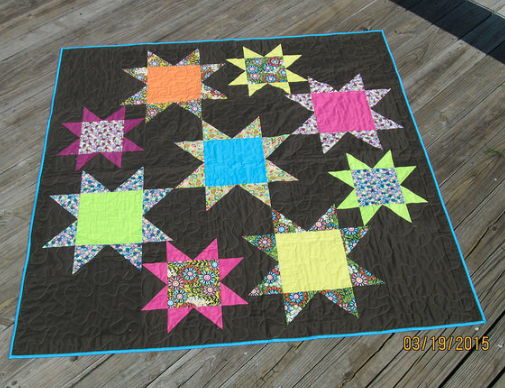 Everything will be given away by random drawing from those who link up a finished quilt! Winners should be announced next Sunday, May 29th. But please bear with me, it may be late in the day - it's a big undertaking! I'm so excited to see the wonderful quilts you have made - and I hope you're all just as excited to see the quilts the other participants have made! Please take the time to visit all the link-ups and give each other a big high-five - you've done amazing work!!! Ready - - - set - - - GO!!! FYI - some people are having trouble linking up, which results in multiple entries. Don't sweat it - I have contacted LinkyTools about it already, but I will also be monitoring it and will delete any duplicate entries. And if you just can't get it to link up, email me at salliesue57 (at) gmail (dot) com and I'll link up for you. Smile!! PS - the pictures above are some of H2H 2015's quilts - aren't they wonderful? I, too, look forward to seeing all the eye candy with this link-up. This is so much a work of love, care, compassion and talent all given so generously. I am looking to see the quilts made, and am sure the recipients will treasure them always. Hi Sarah. SewCookandTravel here. I has having major internet connection difficulties and my quilt posted THREE times! Could you please delete two of them. Sorry about that. Thank you in advance. H2H is a fun time. There is going to be so many amazing quilty hug quilts. Thanks for all you do to make this charity drive a huge success. It's always a pleasure to participate in H2H. Thanks for doing what you do, Sarah, and for just being awesome! Hope each of the charities and others are blanketed with quilts of beauty and love. I truly enjoyed participating. 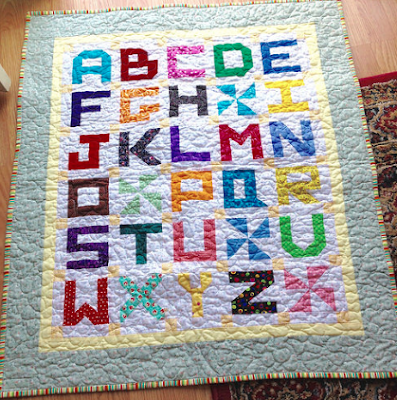 As a new quilter, is is great to see all these beautiful quilts for such good causes. I got the pictures linked from Flickr. Yay!!! 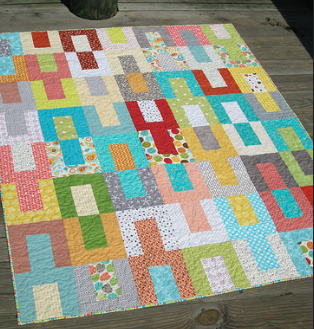 Thanks for including a picture of one of my quilts in your post today. Made me smile. Hugs! Thanks for hosting the event! It was great fun to participate this year. Sorry about the duplicate post - I even waited to see if it would show up before I tried again. Yep, had trouble linking and there it is twice 😁. I'm also still having trouble commenting from my computer so I'm using my iPhone here. The quilts are gorgeous! A great year of entries! I was hoping for a better photo but this will have to do! 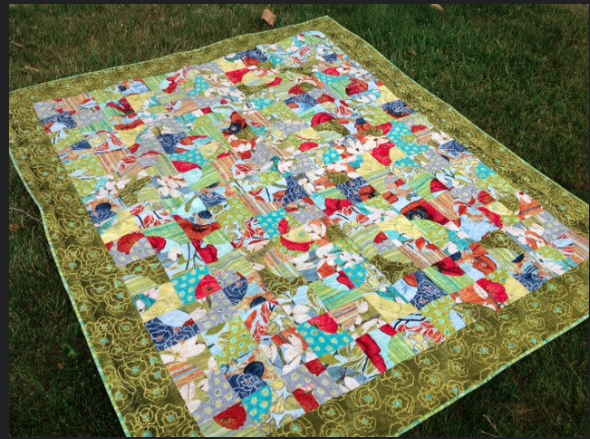 So many gorgeous quilts this year Sarah! I just squeaked in with mine. Thank you so much for all the work you do to hold this wonderful event! Sarah please help! 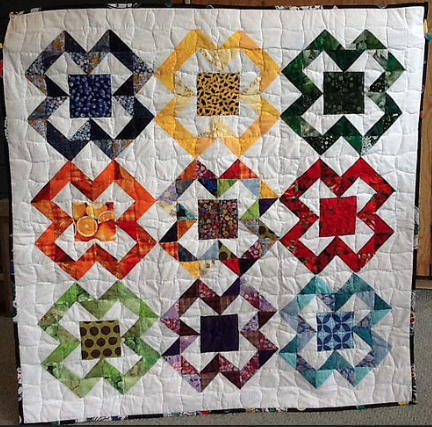 I've linked my quilt a million time because it kept saying error! Can you remove them please?